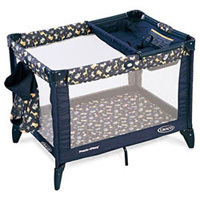 The Pack 'n Play Porta Crib lets you take the comforts of home along with you on your trips. Your little one will be more relaxed when you go on vacation. **Please note: the Porta-Cribs do NOT come with a bassinett attachment.